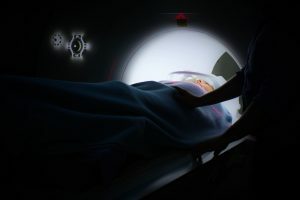 If you have ever been in a car accident, or have suffered a head injury while taking part in sports, you know just how debilitating a concussion can be. Symptoms such as headaches, anxiety, and irritability can persist for a few days to a year or more before finally subsiding. However, many individuals may mistakenly think they are suffering from a severe concussion, when, in reality, they may just be experiencing the undue effects of whiplash. These are both common injuries found in high-impact sports as well as motor vehicle accidents, but identifying which injury you are suffering from may be difficult. In today’s article, we will take a look at some of the main causes of whiplash as well as concussions, while discussing why chiropractic care is necessary in order to restore your sense of wellbeing after a debilitating injury. 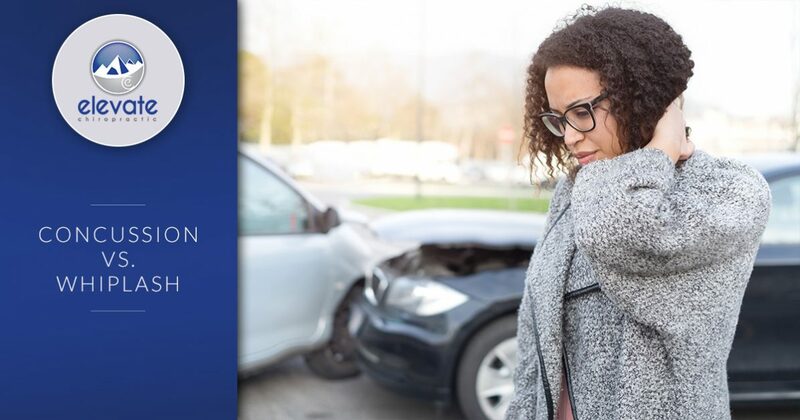 If you have recently been involved in a motor vehicle accident or have received a head injury resulting in impaired cognitive function, get in touch with Elevate Chiropractic today. When you experience a sudden impact, the force behind the impact itself can cause your neck to jerk back and forth in a violent motion, damaging your neck’s tendons and muscles. This can cause inflammation in your neck, resulting in tightness while limiting your neck’s mobility and range of motion. Whiplash injuries occur most often when a force of four to six G’s are exerted onto an unsuspecting individual, resulting in several undesirable symptoms listed below. A much more severe injury when compared to whiplash, concussions are a form of traumatic brain injury caused by a significant blow to the head that can result in permanent damage. Concussions are most commonly seen in sports-related injuries; it has been estimated that more than 300,000 sport-related traumatic brain injuries occur annually in the United States. While whiplash can cause many undesirable symptoms from four to six G’s of force, concussions are most likely to occur at 96 G’s of force. As you can see, the force necessary for a concussion to occur can cause damage to the neck as well as the head. The symptoms associated with concussions are far more severe than whiplash, and can be incredibly dangerous if not properly treated. In order to alleviate some of the most frustrating and severe symptoms associated with concussions and whiplash, chiropractic care should be one of your top priorities. Generally, when these types of injuries occur, your spine will become misaligned causing significant stress and tension on your spinal cord. Chiropractic care can help to alleviate some of the pain you experience so that your central nervous system can return to its optimal state, which will help to expedite the healing process. If you would like to schedule an appointment with Fort Collins’ best chiropractic office, get in touch with Elevate Chiropractic today. As Northern Colorado’s leading source for chiropractic care, we are committed to getting you back on the road to recovery.